When I was on a garage sale trip in late June, I saw this title in a big PC box for 1€ at one of the last stands I visited. I was drawn to the LucasArts logo on the box. I didn’t think twice about buying it. When I got home, I took a picture of all the games I bought on that garage sale and people got hyped about Outlaws. A friend of mine even said that this is a game he wanted to see remastered. So, I got out my retro game PC, installed the game and started playing it. A few days ago, I finally finished the game so it’s time to give my review about this game. As usual, feel free to leave a comment with your opinion on the content of this article and/or the game. In this game, you take the role of a retired U.S. Marshall, James Anderson. After he comes home from the store, he finds out that his wife and daughter are kidnapped by two well-known outlaws. When you find out that they killed your wife and are on the run with your daughter, the case is on. I do have to admit, I didn’t pay a lot of attention to the story while I played this game. While the cutscenes that present the story are very nicely animated for the time, it didn’t grip me. I’m not saying that the story is badly written in any way, shape or form. The cutscenes I watched were thrilling enough to continue playing the game. The voice acting was decent as well. The only thing that I didn’t like about the voice acting was how cliche some voices were. Also, there wasn’t enough emotion in some scenes in my opinion. Speaking of the voice acting, there is also voice acting during the gameplay. A lot of enemies taunt you with some lines over and over again. The only thing that could be better if there were more lines said. Since, if you hear the same taunts spoken in the last level that you heard on the first level, you stop paying attention to them. This game is your typical early-3D style shooter. Each level has an end boss and in order to reach the said boss, you have to look for keys to unlock the doors they hide behind. The first time I encountered a boss, I died after two hits. I got so frustrated with the game, I almost rage quitted. After I calmed down, I tried again but this time, I waited and learned the pattern of the boss. When I killed the boss, a cutscene played and that’s when everything clicked for me. Not long after that, I learned that the yellow arrow on the map screen is the location of the final boss. This is a pretty handy feature. One that helped me several times when I got stuck. The map screen was a good friend in this game. It helped me several times to find new ways when I got stuck or felt that I was running around in circles. There are three things I would change about it. One, have a sort of marker where doors are where you need special keys for. Two, a zoomed out map would be amazing. And three, I would have loved the see the level names like in DooM somewhere in the bottom of the screen. Something the map screen did well is show how many secrets there are in a given level and keep track of how many you found. This was good fun. This game doesn’t have an autosave feature. You can save whenever and wherever you want. Just hit the “Esc” key on the keyboard and choose the option “save”. The only thing I could have loved to see improved is that the time and date was displayed when the save was made. This game has an amazing reload mechanic. In this screenshot, you can see how the revolver doesn’t have any ammo left. When you hold the right mouse button, you start to insert bullet by bullet in your gun. But, don’t worry, when you meet an enemy while reloading, you can just shoot. Even when your gun isn’t fully loaded. I wish more shooters implemented this feature. It speeds up the action so much and makes the gameplay more fun in my opinion. I played this game on the medium difficulty. Let me tell you, this game can get intense. The game never gets too hard to be unfair. I have played a little bit on the hardest difficulty. Let me tell you, you have to use your cover or you won’t survive. For the most part, the level design is very well built. I really liked all levels in the game. One of my favorite levels was the Canyon. Especially when you were able to shoot enemies from the cliffs. They have a separate animation for that and even a sound effect! It helped so much with building the atmosphere. In that stage, there was also one of my favorite stage gimmicks. There is wind blowing through the canyon. At certain places, when you weren’t moving; well, the wind moved you towards the cliff edges. There were a lot more stage gimmicks providing variety through out the game. In this game, you shoot with a lot of different guns. I liked the revolver the most since you can shoot quickly with it. It helped me to clear out a lot of crowded areas. But, all weapons have their own use in certain situations. The only thing I did have problems with is the dynamite. It never lit on fire, I had to shoot it always when I wanted to use it. That disappointed me, just like the sheriff badge pick up. While these are rare to find, I don’t know what they do. So, I had to consult the manual. Apparently, it’s a shield and a damage increase. I didn’t notice any change with or without the badge. What disappointed me the most was the frustrating platforming parts. This game had a few, very interestingly designed platform segments but due to the sometimes floaty and unreliable jump, this got to some frustrating deaths and/or me having to do that jump section all over again. When you are playing this game, master the run and jump and the crouch and jump as quick as you can. Something that didn’t disappoint me was the manual. The manual for this game is actually beautifully created and designed. It features some additional background stories and information about the characters you meet in the game. It’s also themed like the wild west, just like the additional leaflet for the troubleshooting problems with the multiplayer. Speaking of the multiplayer, this game has it. While I wasn’t able to experience it, from what I read, it’s a decent addition. This game is, give or take, a 15-hour long adventure. I have to say, I think I’m willing to play through this adventure again. The gameplay is a lot of fun. The game’s presentation is dated but still holds up for retro gamers. The animation is pretty good too. But if we are speaking of presentation, this game excels in two things as well. The soundtrack and sound design. The soundtrack is amazing. Honestly, it’s quickly becoming one of my favorite soundtracks I heard lately. I’m so adding it to my library of video game soundtracks to listen to while I write. The sound design is well done as well. I played this game with a headset that blocks out a lot of the sound from around me. So, I was able to fully immerse myself into the game. I have proof that I was fully immersed into the game since most of my play sessions of this game were around 2-3 hours without a break. Earlier in this review, I touched upon the jump mechanic. Overall, the controls are pretty good. The game has a fast flow to it and I didn’t have problems with the controls. Apart from what I mentioned earlier, the jumps. When you play the historical missions, some jumps that you have to do are a bit pixel perfect. But, I won’t go too much in-depth about that since I already complained about that earlier in my review. Something that annoyed me the most in this game is that some areas are designed to get a player stuck. I had to consult a walkthrough twice since I got stuck on two different levels. And both times, it was with one hallway I didn’t check enough or in a place, I forgot to crouch. So, if you get stuck in this game, don’t forget you can jump ridiculous distances and crouch! Something that took me by surprise and made me happy is the fact that some enemies were female! Yes, female enemies in a shooter. Some were even bosses of a level. Thank you for doing that LucasArts! It’s quite clear that LucasArts made this game since there are a lot of easter eggs and references in this game. 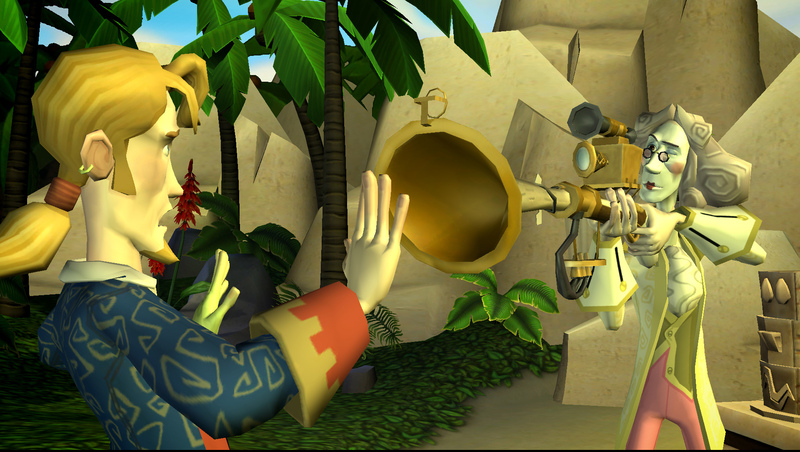 You can find aliens, Indiana Jones, Sam & Max and a lot more easter eggs. So, if you enjoy easter egg hunting, pick up a copy of this game and start looking! The final thing I have to say is that I find this game too short. After I had beaten the game and the historical missions, I found it bitter sweet. I wanted to play more but I was happy that I had beaten the game. If only LucasArts was still around, then I would be able to ask/nag for a remake or a sequel to this game. So, that’s everything I wanted to say about this game. I left some things out for you guys to discover. But it’s time to wrap up the article and get to the conclusion of this one. -Minor complaints about the map screen. -No date/time displayed on the save screen. If you look the negatives I listed, it’s quite clear that those are very minor problems. This game is so close to perfect, it’s annoying. The biggest problem to me was the annoying parkour bits that were difficult to do with the sometimes floaty and unreliable jump. All the other issues are so minor, they weren’t too big of an issue to put a damper on the fun I was having with the game. If you enjoy games like DooM, Wolfenstein, Heretic amongst others, you owe it to yourself to check out this game. I highly recommend this game to people who enjoy stealth games too. If you play it on the highest difficulty setting, this game is a great stealth game. I’m so happy to have this gem of a game in a big PC box complete in my collection. This game is one I will most likely play again in the future since I enjoyed my time with it so much. Also, the soundtrack is pretty great and I can’t wait to listen to it while I’m on the road. In any case, that’s everything I wanted to say in this article. 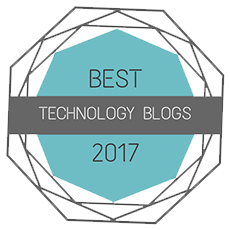 Thank you so much for reading this article. I hope you enjoyed it as much as I enjoyed writing it. I hope to be able to welcome you in another article on my blog but until then, have a great rest of your day and take care! This entry was posted in Articles, Reviews and tagged Amazing, bang, blogging, content, easter, eggs, games, indiana, jea, jones, Jonez, jonez001, jonezjea, LucasArts, marshall, music, neko, old, outlaws, pc, pew, sam, school, shooter, soundtrack, us, walkthrough, west, wild on September 2, 2017 by NekoJonez. 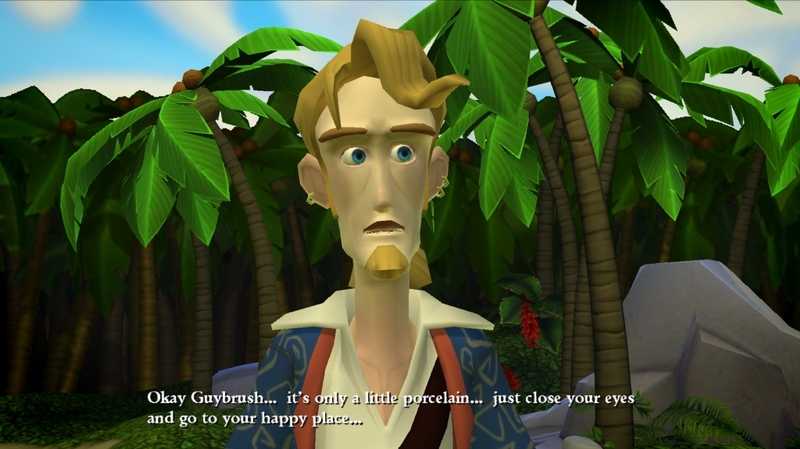 First Impression: Tales Of Monkey Island (PC) ~ The pox. Since I finished Corpse Party, I started a new game. I got introduced the Monkey Island series by the PS2 game, Escape from Monkey Island. When I saw this game I had to play it. I started to play and really got into it. I finished the first chapter and then got distracted by guess, yeah, Corpse Party. This game is created by TellTale Games. The original creator of Monkey Island said it was probably his last game, since he feels he got to old to create games. Also, the original cast returns for the voice acting in this game. This game was released in episodes and my current progress is that I’m at the final part of the 2nd chapter. After that chapter, I’ll of course write a full review of this game. But for now, let’s dive into this game, and the first impressions it made on me. This game is a nicely crafted adventure game. Yet, it annoys me that this game is in several episodes. When you save in episode 1, you can’t start that save in episode 2. It makes a lot of sense but here is the thing. When you install the game now, all the episodes are unlocked to actually you can start playing at the start of the last chapter and beat the game that way. This game’s story really made me think. What if the bad guy actually becomes the good guy, well sort of. Up until now, I found the story rather enjoyable. It’s funny like you expect from a Monkey Island game. It made me laugh several times. Not to sound like a soulless person but I barely start laughing with games. I makes me smile at most. Since it mostly uses American humor and I enjoy European humor more. But this game actually has some funny parts for each culture. The way the story is told is classical adventure game. Lucas Arts (rest in peace guys) has perfected this trade and a big hint in this game is that you need to think literally and out of the box in order to continue. One thing that is a let down is the control. Instead of clicking where you want Treepwood to go, you need to hold the left mouse button and you start to move. Awn, that’s a let down. Also, bad TellTale Games! Not making the ability to drag & drop items to combine them? Making a separate option for that. Tsktsk. What I like in this game is that the main story line is more then just the main story line. It has several side plots that I want to see unfold. I’m extremely excited to see where the story is going to take me next. Is it going to take me towards new colorful places? I hope so. The gameplay is actually a long chain of manipulating items to fool or trick people. And yes, I find this a fun way to be a pirate. As unbelievable it may sound, you play as a pirate. Which I still have trouble believing that our main character is a mighty pirate. The world of Monkey Island is well made. Graphically the game is colorful and inviting. But the islands, well, they could use a bit more variation. The two parts I played now have both a jungle part. Come on! That’s recycling. That could have been avoided. I’m extremely thankful that you can save everywhere you want. It also gives a short summary of what the story is currently about. For in case you took a break and want to replay the game. The voice acting is good. Sometimes it feels a bit out of place here and there but most of the times, it works. I would personally have said some lines stronger or else. Maybe I have still the amazing voice acting from Corpse Party haunting my judgement now. I expect this game to rock me off my socks. For now, this game has successfully drawn me in to it’s world. If I’ll let me go, we shall see about that. It might actually, but that’s the way how I play adventure games. The music and sound has been great until now. Nothing to remark at the moment. The animation is actually where I love the game the most for now. The detail that went in the art is great. The camera work in the swordfighting scenes is amazing enough to display the hard work the designers have put in this game. Now, I would give this game surely a 7 out of 10 points. I’m going to finish this article here and I’m going to play this game further. To further judge this game. Maybe it goes up in points and maybe it goes down. We will see. Alright, thanks for reading. But before you leave, what’s your favorite Monkey Island game or moment? Discuss it in the comments. This entry was posted in First Impression and tagged 001, adventure, Adventure game, collectors, copy, dvd, Escape from Monkey Island, first, games, Graphical Adventures, impression, island, jea, Jonez, jonez001, jonezjea, look, LucasArts, monkey, Monkey Island, neko, NekoJonez, Of, physical, playthrough, pox, review, semi, steam, tales, telltale, TellTale Games, The, video game, Video Games on June 8, 2013 by NekoJonez.